We collect and recycle a range of goods from Nottingham and derby office's equipment like photocopiers, fax machines, computer monitors, printers and other IT equipment to general white goods such as fridges, freezers and other bulky WEEE items. 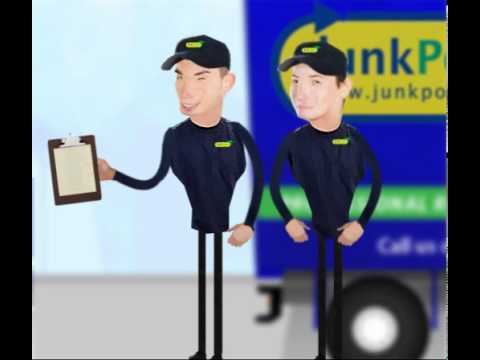 Junkporters offers a simple and fully WEEE directive compliant and on-demand collection, disposal and recycling solution for Waste Electrical and Electronic Equipment (WEEE) in the Derby and Nottingham areas. Our on-demand waste electric and electronic equipment collection & IT recycling service includes the disposal of your IT and other waste electrical items from anywhere on your premises in Nottingham and disposal of them at authorised WEEE treatment facilities in Nottingham and Derby for reuse, refurbishment or recycling. Junkporters work with Transfer station Networks in Nottingham Derby and leicester to provide a WEEE compliant IT and electrical equipment disposal and recycling service. We operate throughout Nottingham Derby And Leicester, and are able to provide tailored solutions for businesses with a one off project or multiple loads. We are also capable of extending our services to larger organizations with multiple sites across derby, Nottingham and Leicester. There are many operators in Derby, Nottingham and Leicester who offer to take away your IT and computer equipment at a reasonable cost with a promise of wiping the information from your computer hard drives and other memory devices. But what happens if your equipment is stolen before it is treated? Standard W.E.E.E Disposal & Recycling In Nottignham And Derby.